Building efficient microwave and millimeter-wave sensors requires in-depth knowledge of microwave engineering and electromagnetics. Developing end-to-end knowledge of a system and its relationship to the scientific application is a crucial part of our students' educations. 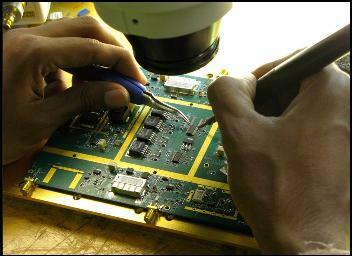 Complex data sets require advanced signal processing and statistical methods to determine features of interest. 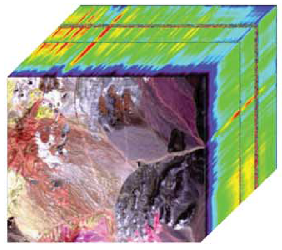 Imaging spectrometers capture imagery simultaneously over hundreds of wavelength bands spanning IR to UV. The spectral information at each pixel is used to determine the composition of imaged materials. MIRSL students routinely participate in field experiments where advanced technology is used to improve our understanding of the geophysical environment. Field work is an equally important aspect of the MIRSL experience. Building instruments and collecting data are not enough. The final product of MIRSL research is the interpretation of the observations that provides new insights into our environment. 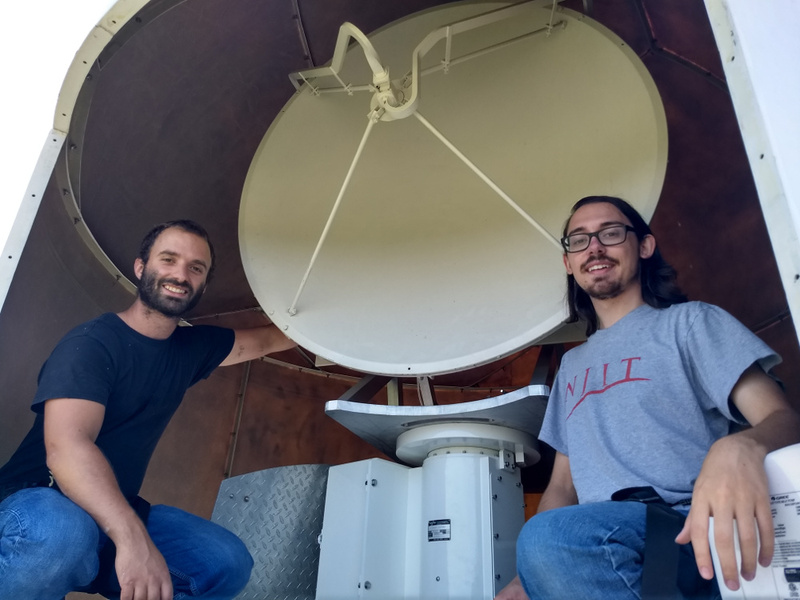 MIRSL students work directly with engineers and scientists in application areas including meteorology, oceanography, climate, and terrestrial ecology. Several MIRSL alumni pose with DopplerScatt, a NASA Instrument Incubator Project led by Dragana Perkovic, Ph.D. 2008 (at left), of the Jet Propulsion Laboratory. DopplerScatt was featured in the NASA Earth Science Technology Office's 2016 Annual Report (see Page 3). 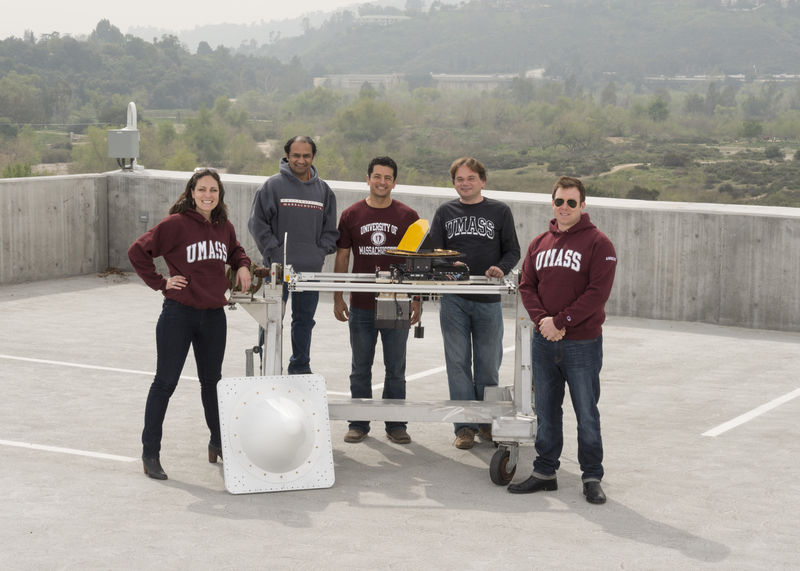 Joining Dragana in the photo are UMass alums involved in the development of this instrument (L-R) Karthik Srinivasan, M.S. 2007; Mauricio Sanchez Barbetty, Ph.D. 2012; Ninoslav Majurec, Ph.D. 2008; and Chad Baldi, M.S. 2014 (photo courtesy of NASA/JPL-CalTech). 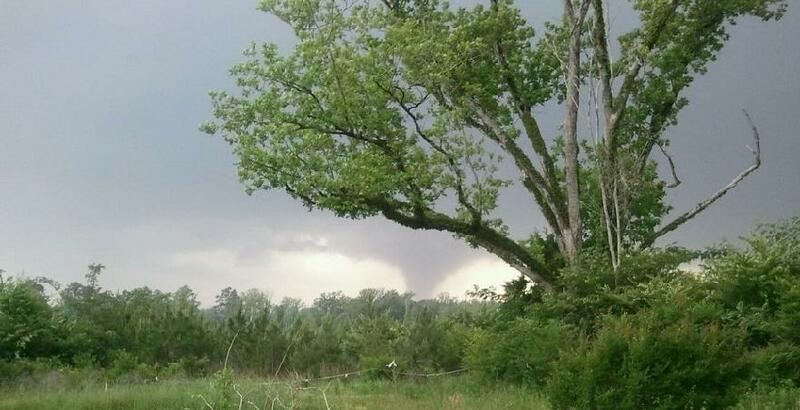 MIRSL is participating in the 2016 Verification of the Origin of Rotation in Tornadoes EXperiment -- Southeast (VORTEX-SE) sponsored by NOAA's National Severe Storms Laboratory. 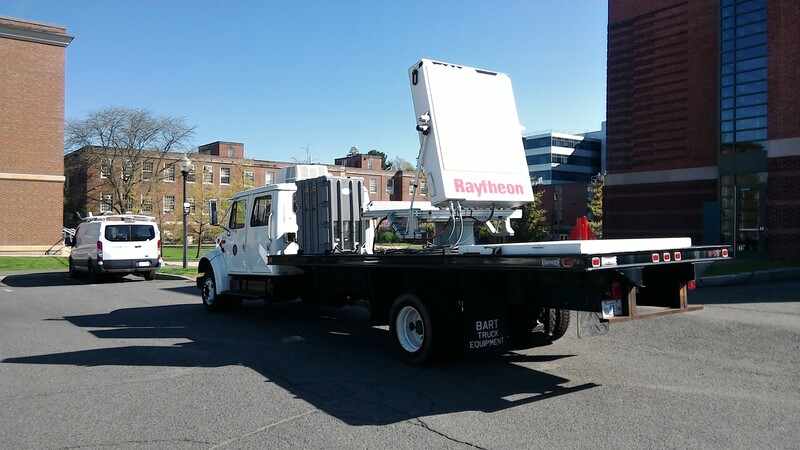 During March and Apr il 2016, MIRSL is deploying two mobile radar systems to northern Alabama to study the environment both leading up to and during severe weather outbreaks that can produce tornadoes. 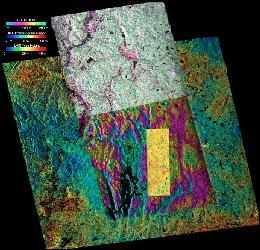 MIRSL is partnering with the Purdue University Department of Earth Atmosphere and Planetary Sciences in this project. 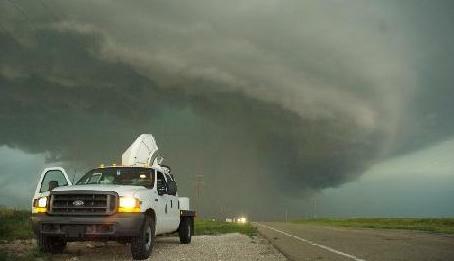 The two mobile radars include a polarimetric Doppler weather radar that volumetrically samples storms that pass within 60 km of its deployment site and a continuous frequency-modulated radar that collects vertical profiles of the atmospheric boundary layer throughout the experiment period. Further detail on the radar instrumentation is available here. Current and past radar observations for VORTEX-SE are available here. Prof. Paul Siqueira is one of 15 scientists selected by NASA to serve on the Science Definition Team of a $600-million collaborative mission between NASA and the Indian Space Research Organization (ISRO). 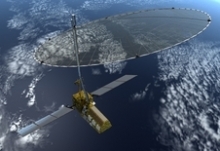 In a meeting in Toronto on September 30, NASA Administrator Charles Bolden and K. Radhakrishnan, chairman of ISRO, signed two documents to launch a NASA-ISRO satellite mission to observe Earth and establish a pathway for future joint missions to explore Mars.